The Austrian industries expect a stagnation of business. Economic growth is low, export growth will be decent. Moreover, the order stock is declining. In 2011, Austrian exports to France were up by 10.2%. France remains one of Austria´s most important trading partners. GDP in Austria contracted slightly in Q4 2011 as exports fell, but weak growth is likely to have resumed at the beginning of 2012, says BNP Paribas. The President of Austria´s Chamber of Commerce (WKO), Christoph Leitl, met South Tyrols governor Luis Durnwalder and stresses the good political and economic relationship between South Tyrol and Austria. In 2011, Austrian exports to Italy went up by 8.6% to € 9.3bn. After Germany, Italy is Austria´s second largest trade partner. The Austrian Central Bank (OeNB) sees signs of a recovery. A recession is not expected. An Austrian trade delegation is looking for Saudi partners. 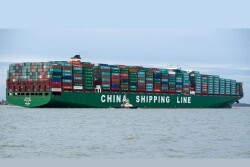 This year, the bilateral trade volume is expected to exceed € 1.0bn again. Foreign Trade Austria (AWO) shows business opportunities in the U.S. to domestic companies. Serbia officially became candidate for the EU-access. Christoph Leitl, President of the Austrian Chamber of Commerce, emphasized the importance of the “European perspective” for Serbia. For the chief economist at RZB, Peter Brezinschek, the austerity package is not ambitious enough. The President of the Austrian Chamber of Commerce, Christoph Leitl, criticizes the introduction of new taxes. Significant Increase in Austrian Steel Exports to U.S.
U.S. Steel Imports are rising substantially, prices are on the fall. Austrian suppliers could raise their share. Against 2010, the Austrian current account deficit almost doubled. Both imports and exports reached record levels. Due to lower exports, the Austrian economic growth showed a decrease in the last quarter of 2011. For 2012, the economy will stagnate or increase very slowly. Due to rising purchase power of Russian households, Austrian food exports to Russia are booming. In 2012, the Russian retail trade sector is expected to grow by 15%. For Christoph Leitl, the President of the Austrian Chamber of Commerce, Colombia is the entry to South America for European companies. 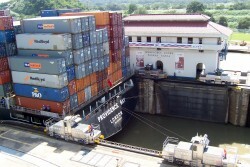 January to November 2011: imports rose by 16%, exports increased by 13%. The Austrian Chamber of Commerce regards South-Eastern Europe as growth region. Importance for the Austrian export industry is seen to increase. 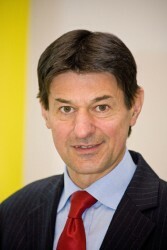 The Federation of Austrian Industries (IV) says that Austria will not face a recession in 2012. Nevertheless, the economic slowdown is significant. According to the Austrian bank, the sovereign debt crisis in the euro-zone remains. Stagnation is expected for the next years. The President of the Austrian Chamber of Commerce is looking forward to Croatia´s EU accession in 2013. In a medium-term forecast, the Austrian Institute of Economic Research (WIFO) expects only very decent economic growth rates. In 2011, Austrian food exports exceeded € 9.0bn for the first time. According to Bank Austria´s economic indicator, Austrian economic growth will only reach 0.8% this year. The Austrian export activity slowed down in the fourth quarter, but the pessimistic expectations did not become real. In 2011, Austrian exports were up by 12%. 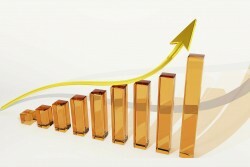 In the first three quarters of 2011, the Austrian economy achieved a strong performance. The balance of current accounts was significantly positive. 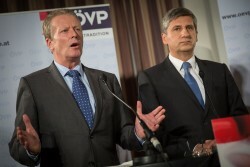 Economists and analysts expect a massive fall in Austrian economic growth for 2012. From January to October 2011, Austrian trade volume reached more than €100bn in both trade flows. The Austrian Chamber of Commerce sees a huge interest of the domestic economy in Croatia´s EU accession. In 2010, Austria was the largest investor. 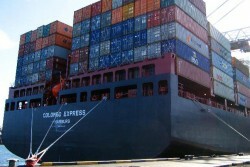 From January to September 2011: imports rose by 17%, exports increased by 14%. The deficit amounts to € 6.0bn. After a substantial growth in 2011, OECD expects only a slight rise in Austrian exports. In spite of the turbulent developments in the Arab region, the Maghreb state could maintain a strong economic growth. In 2011, Austrian exports to Morocco rise by 16%. 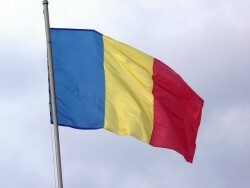 As the Romanian economy performs well, Austrian enterprises see the tourism sector as chance for new orders. On the occasion of a bilateral meeting between the Hungarian and the Austrian Minister of Economics Reinhold Mitterlehner repeated his critics regarding Hungarian foreign currency loans. This year, Austrian exports to the U.S. will reach the level of 2008. The export volume will amount to € 6.0bn this year. Sales volume of food retail trade was up by 0.3% in the first nine months of the year while the non-food sector registered a decline by 1.3%. According to preliminary results by Statistics Austria, total imports amounted to €85.39 bn and total exports amounted to € 80.08bn in the period January to August 2011. Austrian exports to Colombia will exceed € 100m this year, reports the Austrian Chamber of Economics. Colombia has a strategic character for Austrian companies. On the occasion of the state visit of the Chinese President Hu Jintao, the Austrian Minister of Economics stated to aim a deepening of the bilateral economic relations. The Chinese President Hu Jintao arrived in Austria. Today the official meetings with the Austrian President Heinz Fischer and the Government will take place. The Austrian agricultural exports reached almost their all-time high from 2008. Especially Italy is becoming increasingly important. The Austrian Minister of Economics wants to cooperate closer together with Georgia, which offers export opportunities for the Austrian industry. The Austrian President of the Economic Chamber regards the Chinese province Jiangsu as an important export market and trading partner. After the complicated negotiations between employers and the trade union of the Austrian metal industry, the trade sector continues. 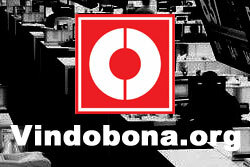 520.000 workers are concerned.